The model is made in an elegant design. 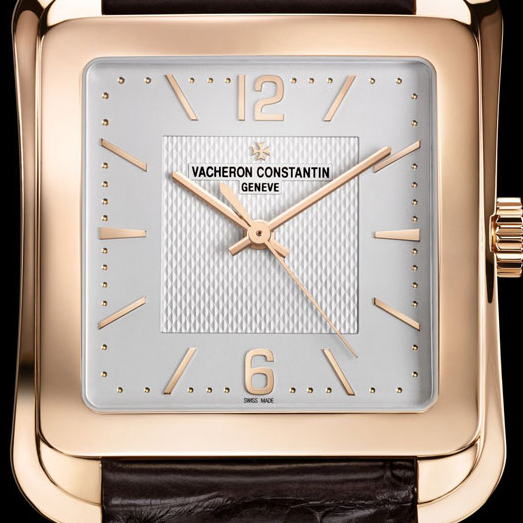 The round case in diameter of 30 mm and a thickness of 7.43 mm is made of 18-carat rose gold. The case is equipped by a bezel encrusted with 64 round diamonds. The watch water resistant - 30 meters. The silver opaline dial, guilloche in hand, has two central hands to indicate the hours and minutes, and the minute scale in black. Round-cut diamonds are placed instead of hour indexes. The novelty comes on an elegant brown alligator strap with rose gold buckle in the shape of a Maltese cross half. There is also a second strap in black satin. Behind the elegant appearance of the dial is "hidden" the mechanical caliber 1400 with manual winding. The work of the mechanism in diameter of 20.65 mm and a thickness of 2.6 mm can be observed through the sapphire crystal, mounted on the back cover. 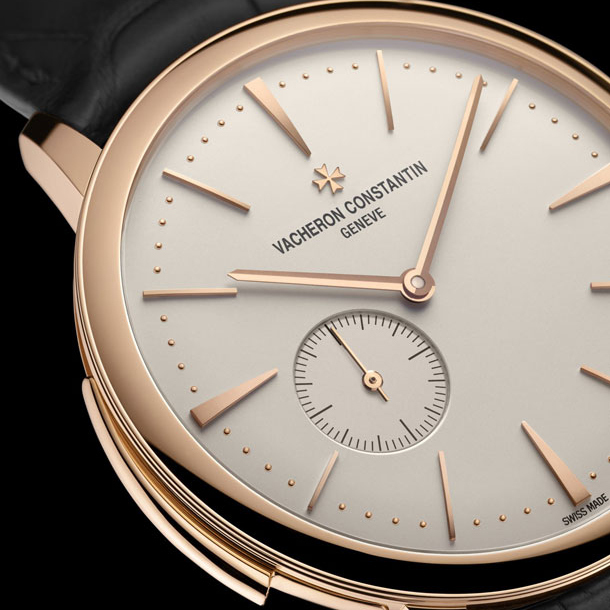 The caliber is compiled on the 20 jewels, consists of 98 items, is equipped with a frequency of 28 800 vibrations per hour, 40-hour power reserve, and display functions of hours and minutes. The mechanism is decorated with Côtes de Genève pattern. 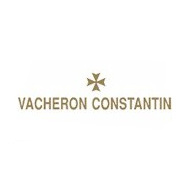 The novelty Patrimony Traditionnelle Paris Boutique Small Lady is released in a limited edition - 75 items especially for the Vacheron Constantin Paris boutique. On the case back is engraved with the Paris boutique address "2, rue de la Paix” and the individual number of each product as “N ° X/75”.